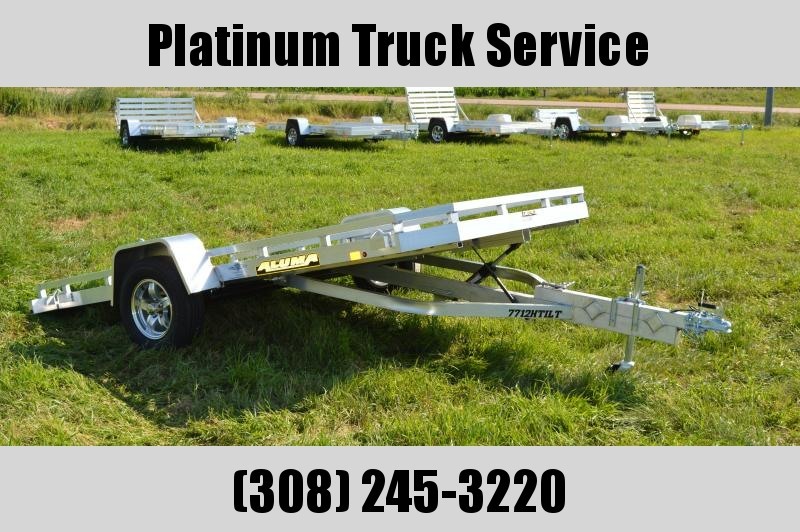 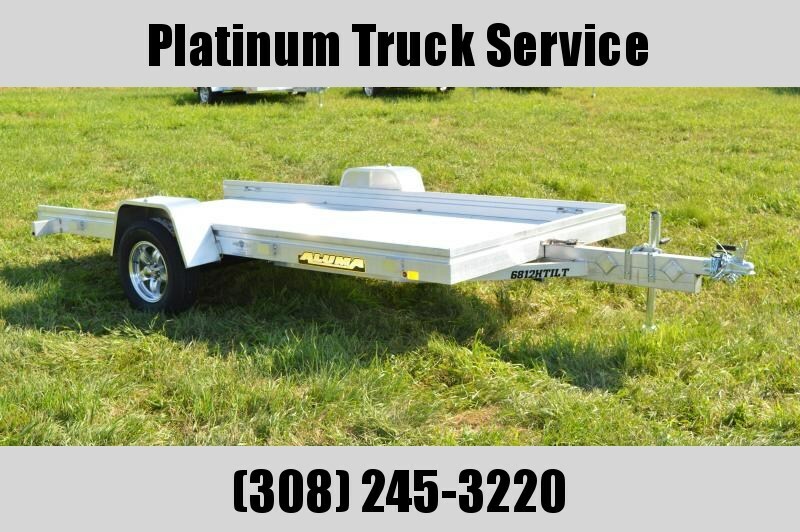 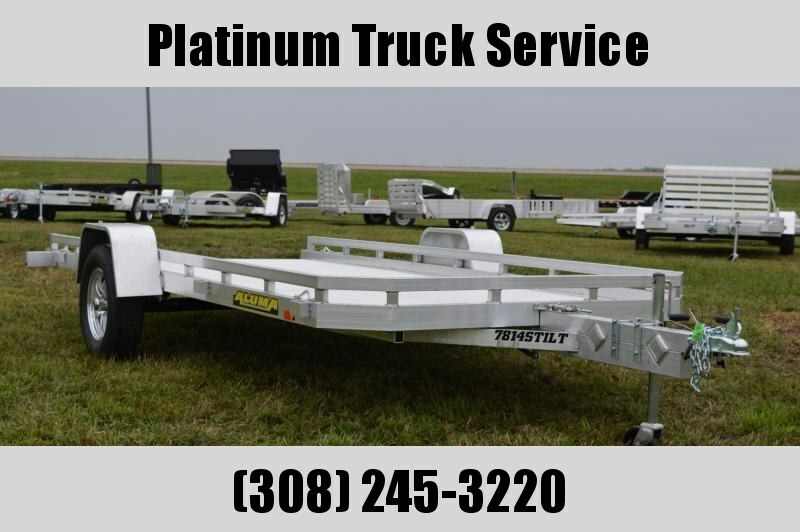 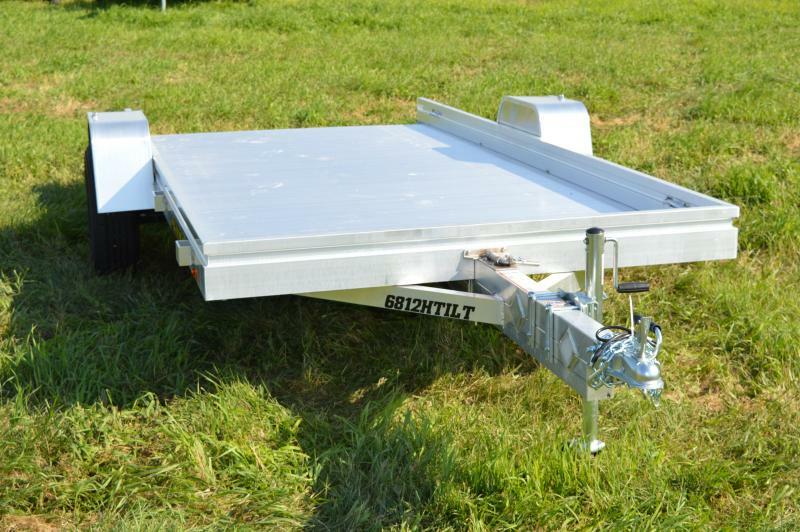 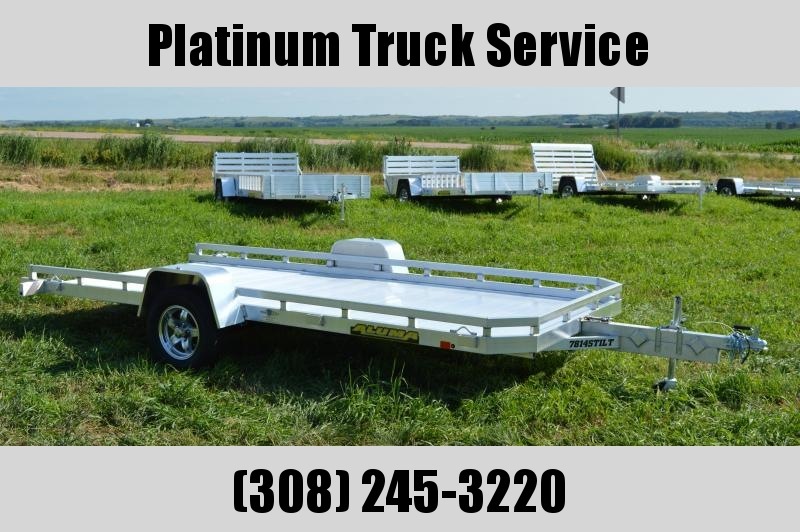 We have a 68" x 12' trailer that comes with a 3500# rubber torsion axle with easy lube hubs and tailgate that is 67.5" W x 44" L . Trailer has LED lights , 14" aluminum wheels , tongue handle , swivel tongue jack , 7" heavy duty frame rail , also has 4 tie-down loops and 6 stake pockets . 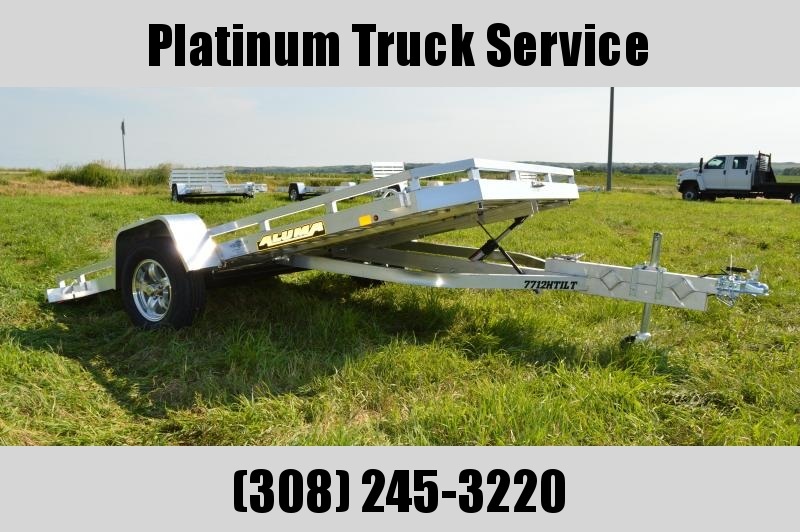 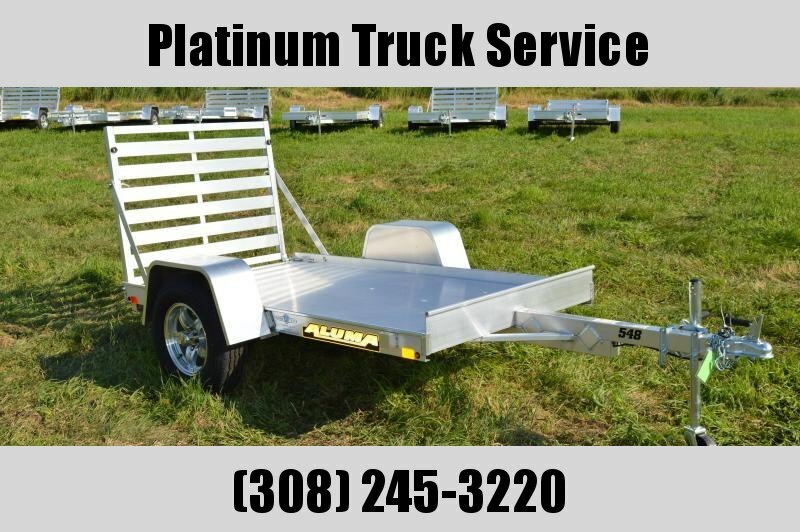 The tilt system has a hydraulic dampener and a hydraulic gas shock for assisted lift when raising bed.Has a 2" coupler with a auto latch system, safety chains and Aluma gives all their trailers a 5 year warranty .